Chamomile Tea Benefits - Love The Aroma & Taste Of Tea? It's Time To Discover The Magic Of Chamomile! 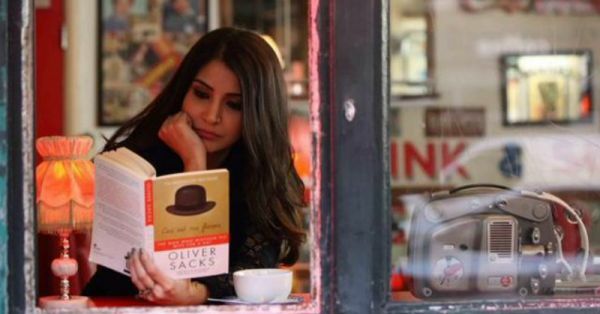 While coffee has an alluring scent that can tempt you to a cafe, tea has its own charm. A cup of warm tea has the power to relax your mind and your body. I am a fan of the mild tea aroma that informs me about its taste much before I take a sip. We have countless varieties of teas, each one with a taste and aroma of its own. Among the many types of tea you can buy are green tea, blue tea, black tea, white tea, herbal tea, oolong, chamomile tea, rose tea, earl grey tea, detox tea, matcha, fermented tea. Chamomile tea, however, remains a favorite. Why? You may ask. There are multiple reasons to add a cup of chamomile tea to your breakfast setting. 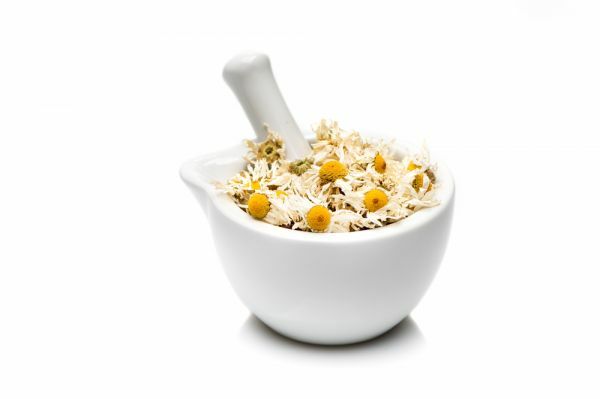 Apart from its multiple health benefits, the chamomile flower highlights its beauty. Unlike other teas, chamomile is not about leaves, neither is it about the petals. It's that tiny white chamomile flower in the cup that makes it so enchanting. Chamomile is referred to as Babune ka phal in Hindi and is popular for its healing properties. This tea is prepared with dried flowers and brings calm and tranquillity. The peaceful-looking Chamomile flower, blooms in early months of summer, is native to Asia, Australia, Europe, and North America. Chamazulene, an aromatic chemical compound that's present in Chamomile tea, is analgesic, anti-inflammatory and antispasmodic (relieves spasm of involuntary muscles). A cup of Chamomile tea provides cold relief as well. Whenever you are too tired to do anything or have had a long hard day, just go ahead and sip a cup of this calming potion, its floral fragrance, and golden brew will relax you in no time. Apart from health, chamomile tea has both hair and skin benefits, which makes it a popular choice, all over the world. It's a tea full of benefits. Excited about drinking this calming potion on a regular basis? Welcome to my tea clan, here's all you need to know about Chamomile Tea. Also Read 7 Surprising Ways Green Tea Makes You Prettier! Chamomile tea is known for its healing properties. Unlike many other teas, it lacks caffeine. So instead of giving you a rush, it relaxes the nerves and muscles. It's a natural sedative and is known to organically reduce stress. It reduces the risks of thyroid and breast cancer among its many other health benefits! Suffering from insomnia? Chamomile tea might be a safer bet than medicines. When taken prior to bedtime, it relaxes your nerves and nervous system mind enough to make you fall asleep. Even if you are not dealing with serious sleep issues, chamomile tea improves the quality of sleep and the sleep cycle. Chamomile tea has been treating anxiety since ancient times. The act of soothing the muscles, nerves and the nervous system allows chamomile to treat anxiety and stress. If you have anxiety then drinking a cup a day will drastically reduce your anxiety. Yes, chamomile tea can do that kind of magic as well. Apart from relaxing and healing the body, new evidence suggests that this herb may also have a positive influence on weight loss. But while drinking chamomile tea for weight loss, make sure you extract as much as possible from the tea in warm water. Drink it before each meal to activate gastric juices. Drinking the herb before sleeping will not only reduce stress but will also curb the production of hormones that support weight gain. To see the results, you must combine your tea with a healthy diet and a healthy lifestyle. It has all the right tools to fight seasonal bacteria and boost your immune system. It can ease seasonal flu, cold, sore throat, nasal congestion, and a runny nose. Egyptians, Romans, and Greeks used chamomile tea to cure skin conditions like psoriasis and eczema. It can also heal cuts and wounds. It is also anti-aging, treats sunburn and it reduces under-eye dark circles and acne, even if your skin is oily. It can even take care of your dandruff issues. If you often suffer from period pain and menstrual cramps, look no further because chamomile tea reduces period pain & muscle spasms. It relaxes the uterus and reduces the production of prostaglandins (a substance which causes pain and inflammation). A warm cup of chamomile tea can soothe stomach ache, ulcer pain, and digestive system. This tea is even used to treat gastrointestinal disturbances including diarrhea, indigestion, anorexia, nausea, vomiting and motion sickness. 1. 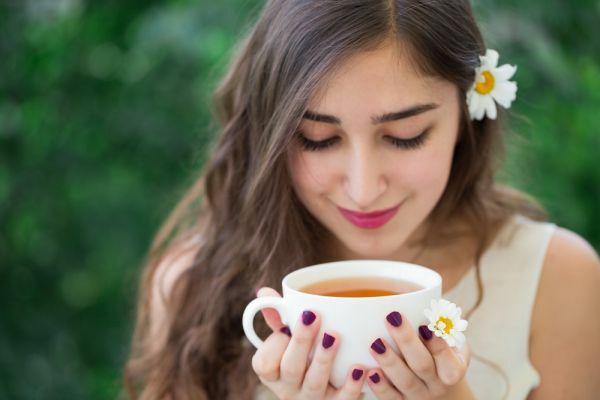 You must avoid drinking Chamomile tea if you are allergic to plants belonging to daisy families like chrysanthemums and marigolds as Chamomile might trigger other allergies, shortened breath, skin rashes, and throat swelling. 2. If you are pregnant or breastfeeding, you must confirm it with your doctor if you can combine this herb with your medicines. 3. 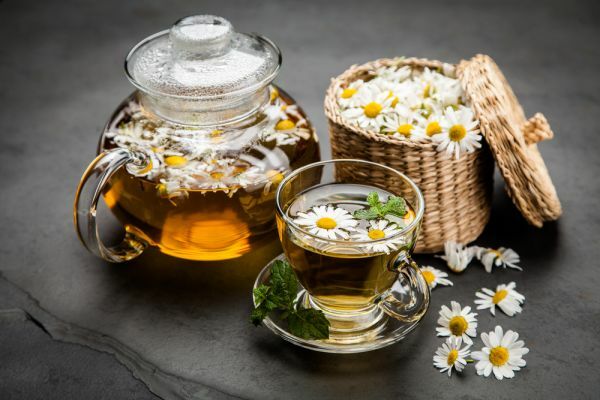 If you are on anticoagulant medications like heparin or warfarin, avoid chamomile tea as it has natural blood thinning compounds, it may present a risk of internal bleeding. 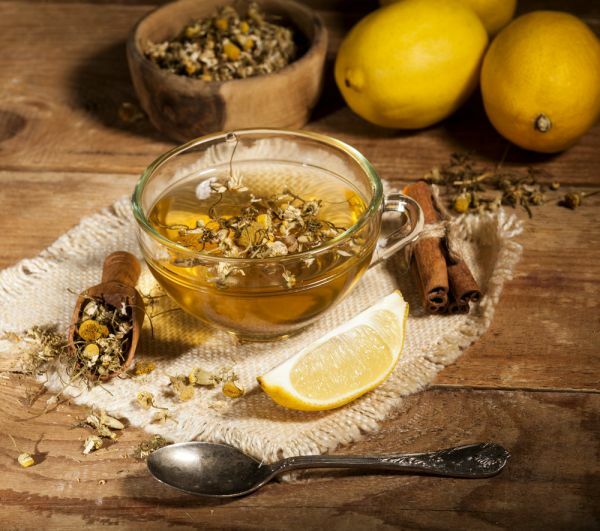 In fact, you must consult your doctor before drinking chamomile tea, if you're on any type of medication. 4. Avoid drinking the tea in a large amount when it's highly concentrated as that may cause vomiting. In small portions, it performs better. How To Select & Store Chamomile Tea? Buy chamomile tea from a trusted grocery shop or herbalist. Make sure to look for whole flower heads as they ensure that the tea is not processed and has come directly from the fields. Tea leaves that are highly-processed don't promote the maximum benefits. It's best to store Chamomile tea in an airtight jar, away from sunlight and in a dry place. As it is a flower, it may attract tiny insects after a while if not stored properly. Now that you have just the right quality of Chamomile tea stored in just the right way, it's an easy-peezy job to prepare a cup of tea, however, if you are not used to making tea, we'll help you with a step-by-step guide. 1. Warm some water in your tea-pot and if you prefer to add any type of natural sweetener, you can add it now. You can add some organic jaggery. If that isn't your cup of tea, you can even add some apple to the boiling water and mash it. 2. Now add chamomile flowers to the pot of boiling water. 3. Cover the pot and let the flower leave its aroma and colour. You can leave the gas on sim for 2-10 minutes, depending on how strong you prefer your tea to be. 4. Once you are satisfied with its strength and colour, strain the tea and then add some lemon juice and honey (if needed). How To Use Chamomile Tea For Skin? Chamomile tea is a natural skin moisturiser, healer and cleanser. Romans, Greeks and Egyptians have used chamomile to effectively treat their wounds and marks for years. 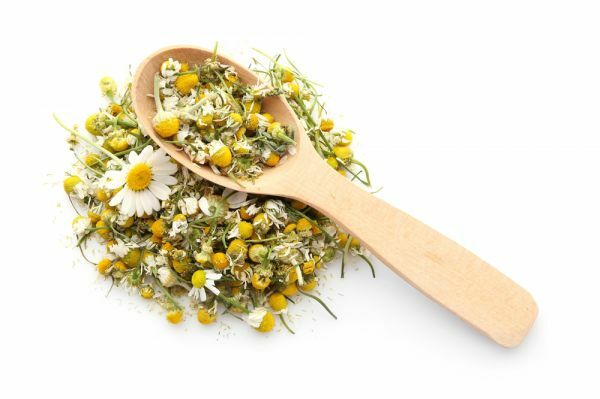 If you drink or use the chamomile extract regularly, it can with skin brightening, reduction of pores and fine lines. As it is rich in antioxidants, it soothes skin like a pro. It can protect your skin from the everyday damage caused by the Sun. It's a natural face scrub and helps reduce the under-eye puffiness and dark circles. This herb works as a soother for skin acne. You can regularly drink the tea to reduce acne and clean blood from the inside or you can just make chamomile tea a part of your everyday mask. It's a powerhouse of antioxidants and helps your skin fight against stubborn acne and uninvited breakouts. 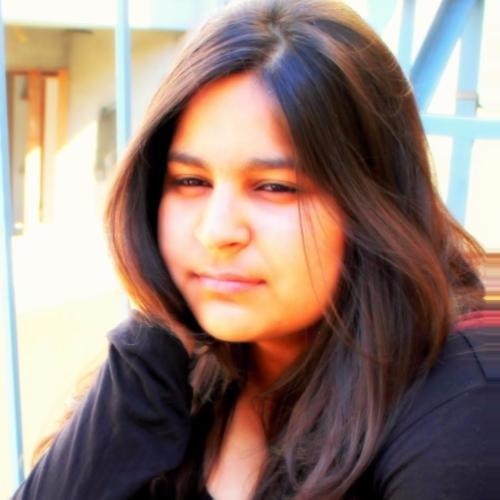 This magic potion is not just for your skin, it's for that stubborn dandruff as well. It prevents dandruff and stops itchiness. Other than that, chamomile can enrich your hair colour and add radiance to it. The best way to use it is to combine it with henna and then apply. If you would like to add a golden sheen to your hair then apply and rinse the mixture after you've shampooed them as the final rinse. For brown hair, it's important to blend it with henna, otherwise, chamomile will end up lightening your hair colour with time. In case you are looking forward to lightening your hair colour, go ahead and rinse your hair with chamomile and skip the henna. How To Make Chamomile Face Mask at Home? If you are not-so-much of a tea drinker and would still love to reap the beauty benefits of this magical herb, homemade face masks might be the best option for you. So, here are a few recipes that'll help boost your skin's natural glow. Make a paste using 1 teaspoon chamomile, 1 teaspoon oatmeal, three drops of almond oil and 1 1/2 teaspoon honey. Apply the mask and massage it in a circular motion. Keep it on for 10-20 minutes before rinsing it with cold water. Pat your face dry once it's clean. Make a paste using 1/2 cup of processed oats, 1 tablespoon of baking soda and honey, 1 1/2 teaspoon of white sugar, 1/4 cup strongly brewed Chamomile tea. Let it sit for 5-10 minutes. Rinse and apply a moisturiser (if needed). Make a paste of 1/2 banana, 1 teaspoon honey and 2 tablespoons of strongly brewed chamomile tea. Apply the mask and let it sit for at least 10 minutes. Wash it off with cold water. Make a paste of one-fourth cup olive oil, half cup white sugar and one tea bag of chamomile tea. Apply the mask and massage in circular motion. Let it dry for 10-20 minutes and then rinse it off with water. You can store the rest of the mixture in an airtight container. Make a paste of one tea bag of Chamomile tea and two tablespoons of cold-pressed coconut oil. Rub the mixture on your face in a circular motion and allow it to sit for 15 minutes or more. Wash your face with lukewarm water. How To Re-Use Chamomile Tea Bags? Ones you have enjoyed your tea, do not throw the tea bags, just refrigerate them. Pour the cold tea leaves from the bag into a spray bottle, add one teaspoon witch hazel to it and then use the mixture as a face toner. You can use the leftover tea leaves from the bag in your face masks. Apart from that, you can pour the tea leaves into the ice tray and make tea cubes out of it. Use them to calm your skin in summers. You can also use the tea cubes to hydrate your skin. Another use of frozen chamomile tea bags would be for your puffy eyes. Close your eyes and place the cold tea bags on your eyes for at least 15 minutes daily for the best results. You can also place the tea bags in your shoes to get rid of any foul shoe odour. Brilliant! Now you just have to pick your favorite brand and become a tea person, if you are not one already.